graphics, vibrant characters and fantastic themes. Updated the OP with the MAL accounts. Your MAL profile picture is hot. I love you. Marry me. I don't collect anime merch, tbh. Though I'm tempted to buy my very favorite anime blu rays by Makoto Shinkai. 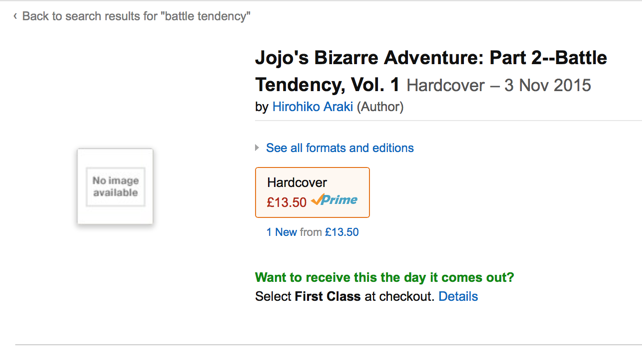 I also really want JoJoVeller, but it's pretty expensive. After having some issues getting banned 3? times. I can now post in my favourite thread. If everyone could say their old name that'd be great. I'm Jatz666 from the old forum. I know it was hard recognising me without my numbers. I'm planning on importing JoJoVeller soon. 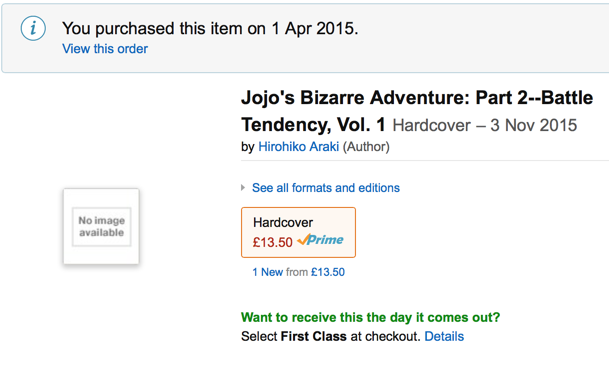 I already own all of the JoJo 2012 anime on BD, Stardust Crusaders manga and preordered the releases for Part 1 and 2. I love JoJo. Uh oh. I better change it with a super cool video then. Add Black Lagoon to that first post right away Jatz kthanksknewyouwould. Also annoying that I can't see page numbers in the main section. I thought 4 was a lot. Do you think I should use more? Don't drool all over the keyboard. replace so lame with 'badass' please. I can't even log in on my mobile phone. It asks me for my Origin Code, but the whole message is off screen and it doesn't let me scroll to it. Pretty much forced into using this site on my laptop/PC, until they fix it. I just have to scroll to the field to enter my code. It is easier using the phone upright rather than sideways though. I will admit I do like how we get live notifications on thread replies as we're browsing though. Oh my god he has a 5 cm/s avatar. We can be friends. Was surprised to the the anime thread on the main superpage tbh. I tried both ways and it doesn't work. The notifications is cool beans.